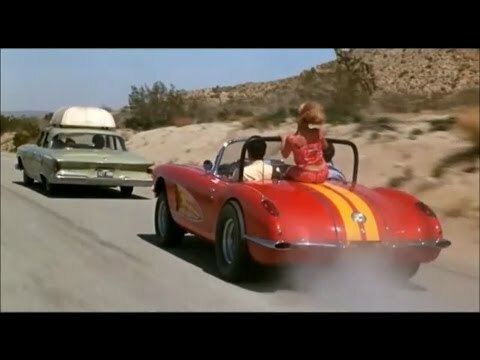 One of those 1960s drive in movie flicks, about nasty hot rod teenagers terrorizing a family driving across the desert in their family sedan. The nastiest teens are in a 58 Corvette. Lots of overacting, but these chase scenes are fun. Sound like six cylinder engine noise and tire squeal in the dirt. Hum. The driving looks a bit like sections of I-287 in Jersey. Possibly unsafe especially without seat belts.